Every week during the college football season is special in the Western Upstate of South Carolina. 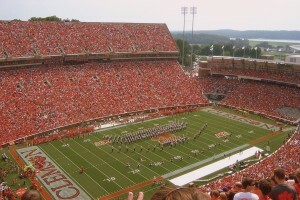 However, Saturday’s Clemson Tigers game is extra special. The Clemson Tigers are ranked Number 5 in the NCAA FBS Poll, and they host the Louisville Cardinals, who are ranked Number 3. That in itself is incredible. Clemson’s quarterback, DeShaun Watson, and Louisville’s quarterback, Lamar Jackson, have been talked about all season by a bevy of sportswriters and commentators. The fact they are are facing off makes this the game of the week! That’s right, ESPN’s College GameDay will be at Clemson University for their weekly broadcast on ESPN from 9 a.m. to 12 noon. As viewers of the show know, the staff, which includes Kirk Herbstreit, Rece Davis, Desmond Howard and, of course, Coach Lee Corso go to a different campus each week. The show is usually host to a big party including several students representing both schools as well as local residents that participate in the camaraderie. The show also showcases the weekly location’s area including restaurants and things to do. We all wait anxiously to find out who Coach Corso picks to win the game by sporting that team’s mascot’s head or helmet. In addition, ABC will be host to the prime time game, which starts at 8 p.m. So, the party will continue throughout the day. You definitely don’t want to miss it! The Powell Group invites you to be a part of a huge party in Clemson, South Carolina on Saturday. 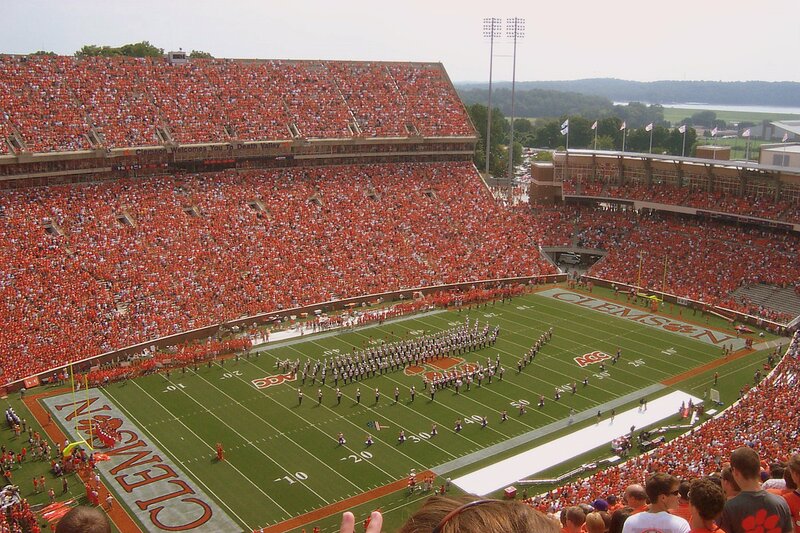 Come see what makes Clemson and our university’s Tigers a definite must see. If you are moving to the Western Upstate of South Carolina, log on to our website and see all of our beautiful houses. We are sure you will find exactly what you are looking for.